Coming soon to a Nintendo Switch near you! Featuring over 50 licensed cars and 250 races spread across 1,800 miles of captivating landscape, Gear.Club Unlimited 2 is arriving on December 4. Nintendo Switch users, rev your engines! It’s only a matter of days before Gear.Club Unlimited 2 power slides into Nintendo Switch devices around the globe. Developed by Eden Games and published by Microids, the sequel to the 2017 smash hit title has received its release date. Gentlemen, mark your calendar. The date is December 4. Over 50 licensed cars have been lined up for the game. Some of the big names in the roster – Porsche, Chevrolet, Bugatti, Koenigsegg, Dodge, Jaguar, McLaren, Pagani, Mercedes-AMG, W-Motors – have already got us charged up to try out the game once it launches. The landscape to drive these machines on is equally impressive. 250 races laid out on 1,800 miles of virtual road with mountains, coastlines, deserts, and nature parks are waiting to be explored. There are championships, missions, and challenges to keep the player occupied for a pretty long period of time. Eden Games has integrated a customization feature – Performance Shop – to let players personalize their rides with unique paint and bodywork upgrades for visual panache and engine tuning for beating those formidable adversaries online. This is just the tip of the iceberg though as the biggest draw about Gear.Club Unlimited 2 is in creating Clubs with friends and taking down rival clubs in the elaborate Multiplayer modes. There is even exclusive content in place for the best players to enjoy. Check out the teaser trailer to catch a glimpse of Gear.Club Unlimited 2. 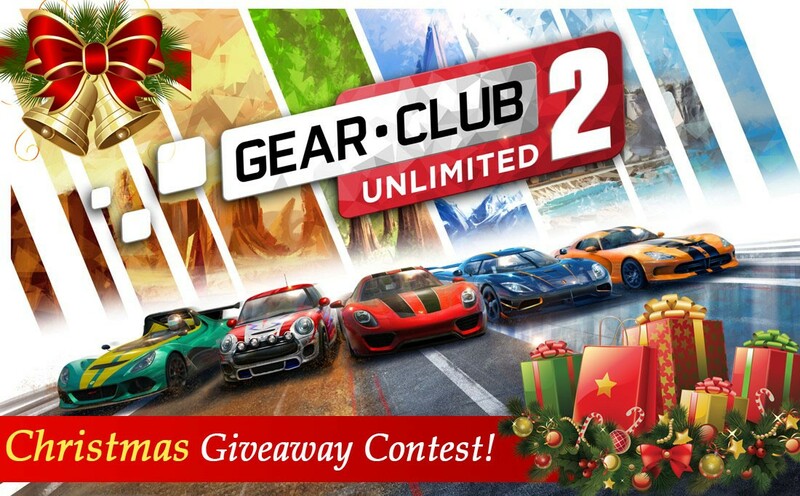 TheSupercarBlog – Gear.Club Unlimited 2 Christmas Giveaway Contest! Gear.Club Unlimited 2 is coming to Nintendo Switch on December 4 and we have 4 copies of the high-octane racing game to be given away. Follow the steps below and stand a chance to win! Share our posts related to Gear.Club Unlimited 2 on your Facebook profile with the hashtags #GearClubUnlimited2 and #TheSupercarBlog. We’ll reach out to the winners through Facebook on December 10. Important: Contest open to US residents only. Buckle up for the most exciting game coming your way this December!